Swagbucks is always my first source for coupons. Two years ago I began seriously using coupons. I even started a blog about it, though that was short lived as it was too much to keep up with. I try to keep my coupon/deal posts on here to a minimum but do bring you favorites from time to time. But please don't let my lack of discussion on the subject indicate that I am not loyal to spending less and loving it. But I thought I'd share my favorite blogs to learn about the latest and greatest deals. These bloggers, all of whom have turned it into a business to varying degrees, work hard to make sure they are sharing the best deals with links to coupons, etc. They do all the work for me. Why reinvent the wheel when I can just borrow theirs? I should also note that I follow all of these on Facebook and/or Twitter. When they post deals, I just click the link if I am interested. I find it easier than regularly reading the blogs. A Super Savvy Saver. Sheila is by far my favorite coupon blogger. She lives very local to me, shops at the local stores, etc. Plus, she's so sweet! But she covers the big drug stores and some big box stores, too. She also does giveaways each month- I don't see that on any of the other blogs as they are all now big business. Sheila runs her blog by herself. But I suspect that even if she hired a helper, the blog would still remain personal and blog-like. Her posts all have photos, too! I actually read most of her blog. She's my one exception to the "follow mostly by Facebook" rule. The Krazy Coupon Lady. Ah, it drives me insane to see words spelled with incorrect letters. I suspect they regret that too at this point. But that aside, I think these two ladies are sort of the Cinderella story of the coupon blog world. They were stay at home moms, started a little blog, worked hard, went on a few TV programs, and now their husband's stay home while they have this huge out of the house company with lots of employees. I just think that's so cool! They are also my favorite resource for drug store and big box store deals. They are very consistent with posting these deals. They also cover many of the main grocery store chains in the US. I Am That Lady. Last year she lost me- the blog went from feeling personal (like Sheila's) to big business. Everything above the fold is advertising. But the content seems to be moving back to having a more personal touch. And she does a great job of highlighting deals on things like toys, etc, in addition to drug stores. She is local to the state of NY so she too covers the stores where I frequently shop. Budget Savvy Diva. As a person, I am sort of baffled by this woman. Her voice really stumps me. I also can't figure out what she does with the vast amounts of Bath and Body Works crap (among other things) she buys all the time. But she posts ALL THE TIME and often covers deals to drug stores that I never see on other sites during the week. She doesn't post store match-ups like the other three I listed above. Instead she posts one or two posts every hour (seriously...that's her tag line). She's worth following on Facebook. So those are my top four blogs. I keep up with a few more on Facebook but these are by far my most frequent visits each week. They have really helped me to score some great deals and save a lot of money. I love some of these sites! I will have to check the others out. Gotta love saving a dollar! Thanks Angi! Please feel free to share some of your favorites if not listed. I'm always happy to read new (to me) blogs! 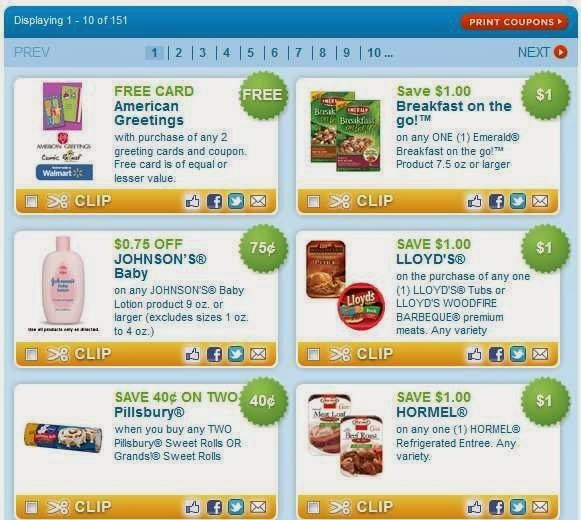 I am a huge couponer, why not take the time to save a little cash? I will definitely be checking out these sites! I want to add that for the locals, A Super Savvy Saver and I Am That Lady both cover Price Chopper, which is not covered by many other blogs. I have never gotten the hang of the whole coupon craze. I have tried, but just can't get the way to stack coupons. Maybe these four blogs will inspire me to give another shot. Thanks lots for sharing. you have done a brilliant job. Your article is truly relevant to my study at this moment, and that i am very happy I discovered your web site. However, i would prefer to see a lot of details about this topic. i'm planning to keep returning here.